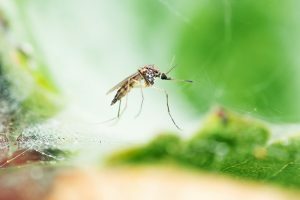 While most mosquito bites tend to cause some itching and inflammation for a short while, there are some mosquitoes that become infected with viral or bacterial microorganisms – when such a mosquito bites a person, they can become infected with the disease. There are a number of different diseases today that are classified as mosquito-borne diseases. In this post, we will focus on Dengue Fever, a mosquito-borne disease that is estimated to affect millions of people every year. The disease can cost the life of a patient, especially when not recognized early or when it goes untreated. We will consider what Dengue Fever is, what causes the disease, whether it is contagious, and also look at other details that every patient should be aware of. Dengue Fever is a potentially dangerous illness that puts the lives of millions in danger. The Centers for Disease Control and Prevention estimates that around 400 million patients become infected with the disease each year. They also estimate that more than 33% of the worldwide population is at high risk of being infected because they live in high-risk tropics regions. The disease started to receive recognition in the early 1950s due to the widespread records that started to pop up in certain areas of the world. The disease tends to be milder in some people, and initial infection often does not result in serious complications. Recurrence of the infection, however, can lead to life-threatening symptoms and complications. Dengue Fever is a viral infection that occurs when a mosquito infected with the virus bites a person and transmits the virus into the patient’s body. Only certain species of mosquitoes can become infected with the virus. Most commonly, the virus infects Aedes aegypti mosquitoes. In some cases, the virus has also been found in Ae. albopictus mosquito species. Only female mosquitoes can become infected with the virus and transmit it to a patient. Four different virus serotypes exist that can cause a person to develop Dengue Fever. These four serotypes are classified as DEN-1 to DEN-4. Immunity is obtained against a specific serotype after a patient recovers from the infection but does not provide full immunity against other serotypes that have not infected a person. For example, when infected with the DEN-1 virus, a patient would be immune to the DEN-1 virus in the future, but not to the DEN-2, DEN-3, or the DEN-4 virus. Partial immunity may be achieved temporarily against other serotypes in some patients, however. Unlike some particular mosquito-borne diseases that are known to spread between people when one becomes infected easily, Dengue Fever is not a contagious disease. Thus, if a person gets infected with the virus while travelling abroad, they will not be isolated from everyone else upon the diagnosis of this disease since there would not be a risk of spreading the infection to other people around them. The only way for a person to be infected with the Dengue Fever is when they are bitten by a female Aedes aegypti or Aedes albopictus mosquito that has been infected with the virus. Even though not transmitted through human-to-human contact, it should be noted that humans can infect the mosquito – and then the mosquito can again infect another human. When a mosquito bites a person infected with Dengue – even when they have recovered from the disease – then the virus can transmit to the mosquito. What Are The Signs And Symptoms Of Dengue Fever? A relatively large number of symptoms have been associated with Dengue Fever. Individuals who experience these symptoms are advised to undergo appropriate testing to assist with determining if they have been infected with the virus that causes this illness. This disease is often divided into two categories, which include Dengue and Severe Dengue. Dengue may cause a patient to experience a rash, myalgias, vomiting and nausea, abdominal pain, pleural effusion, ascites, lethargy, thrombocytopenia, and mucosal bleeding. Some patients may also experience enlargement of their liver. In severe Dengue, similar symptoms may be present but tend to be more severe. These symptoms may also be accompanied by additional signs like hemorrhage, impaired consciousness, pulmonary dysfunction, myocardial dysfunction, and plasma leakage. In some patients, symptoms associated with organ dysfunction may also develop. When Dengue causes serious complications, the patient may start to experience signs of Dengue shock syndrome. Symptoms may include persistent vomiting, severe abdominal pain, hematocrit that is rapidly rising and narrowed blood pressure. Who Are At Risk Of Dengue Fever? Mosquitoes infected with the virus that causes Dengue Fever is most commonly found in tropical regions throughout the world. Thus, individuals traveling to a tropical area would be at the highest risk of being infected with the virus. When a person in Canada, the United States or another non-tropical area is infected with Dengue Fever, they most likely contracted the disease while abroad in a high-risk area. When travelling to these particular areas of the world, a person is advised to obtain a vaccine to help prevent being infected with Dengue Fever while they are abroad. The symptoms caused by this disease are similar to those associated with many other mosquito-borne diseases, as well as general infections. This makes it impossible for a doctor to diagnose the disease simply through a physical examination. Even when the doctor determines the patient has recently visited an area where the disease is prevalent, further testing is still required to ensure that the Dengue virus is, in fact, the cause behind the symptoms that the patient is experiencing. The Dengue virus can be identified through different methods. Molecular methods, serological tests and virus isolation techniques can all be used to help determine if a patient has been infected with the virus. Testing is done through serum samples in many cases, but accurate data will only be achieved when such a test is done within the first five days following the development of the symptoms. Other tests need to be utilized should the tests be conducted after this period. Can Dengue Fever Be Treated? There are no cures for Dengue Fever and no specific medications that have been approved for the use against the disease. Some medications have been suggested for the treatment of symptoms that the patient may be experiencing. Additional treatment protocols are advised to be provided to a patient to help minimize the risk of developing complications that could put their lives in danger. In most people who are infected with the disease, symptoms will be mild, and hospitalization may not be needed. Supportive treatment can be provided at home to help the patient recover and reduce the effects that their symptoms may have on their life. Symptoms experienced following infection with the virus that causes this infection is managed with the administration of fluids. Medications such as paracetamol are often also used to help reduce the fever the patient may be experiencing, as well as to help manage pain. It is important to note that NSAIDs should not be provided to a patient with Dengue Fever as it may cause a high risk of bleeding. Patients who experience more severe diarrhea or vomiting should be hospitalized to help reduce the risk of dehydration. Bleeding should also be treated in a hospital. The first vaccine against the Dengue Fever disease was approved in 2015. Since then, the vaccine has helped millions of people reduce their risk of being infected with the disease while travelling to a location where the illness is common. The first countries to approve the use of this vaccine included the Philippines, Mexico, and Brazil. Today, however, the vaccine has been accepted in more countries. A new vaccine was also released in 2018. While the vaccine was approved, the World Health Organization has reported that this particular vaccine should only be used to individuals who have been infected with Dengue Fever in the past – since a second infection tend to be much more severe than the initial infection, the use of this vaccine can help to reduce the risk of a recurrence. Dengue Fever is a disease that can cause a person to experience severe illness and possibly even lead to death. Millions of people are infected with this disease every year. Identifying the symptoms of the illness early on can help to initiate prompt treatment and possibly reduce a person’s risk of developing more serious complications. Individuals who may be travelling to a tropical area where the disease is common should obtain an appropriate vaccine prior to their travels, which will help to reduce their risk of infection.